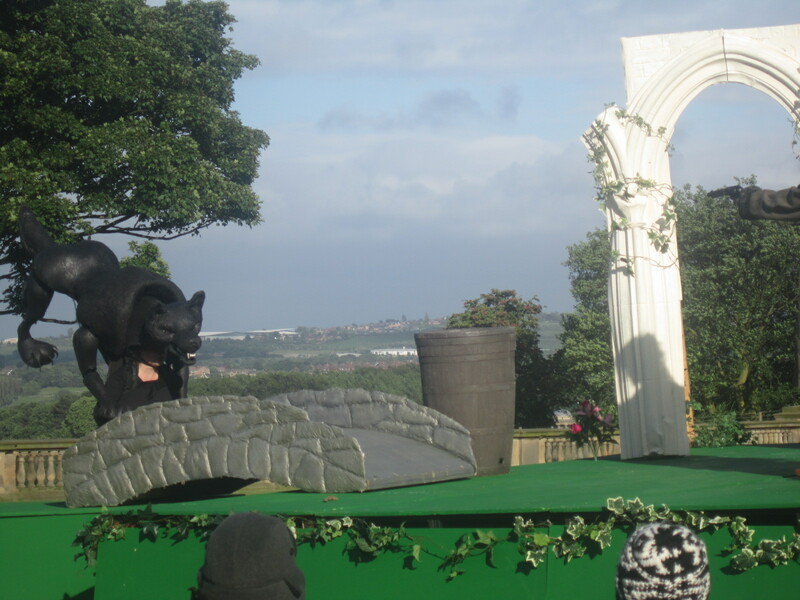 Chapterhouse Presents Sherlock Holmes and The Hound of The Baskervilles – adapted by Laura Turner @ Wentworth Castle Gardens, Barnsley, South Yorkshire. June 23rd 2013. Words by Sally Altas. It’s just after mid-summer and a very quick rain flurry clears to reveal a beautiful rainbow spanning the spectacular countryside surrounding Wentworth Castle Gardens. One end of the rainbow appears to end just behind a small white stage nestled on the south lawn of the historic house, which has numerous camp chairs and picnic blankets spread in a shallow arc just in front of it. Cheerful chatter accompanies theatrical calls of ‘Programmes and Raffle Tickets’ from actors in swishy cloaks and bowler hats. So, the scene is set – and it’s with pleasurable anticipation that the chatter dies down in readiness for the opening scenes of a rendition of Sherlock Holmes and The Hound of The Baskervilles by touring theatre company Chapterhouse. The play starts with Dr and Mrs Watson attending a mini play telling the legend of The Baskerville Family at the annual Baskerville fair while on the first full day of their Honeymoon on the desolate Dartmoor. However, all is not as it seems with the small production. There’s a distinctly odd woman dressed as an old man and a very feminine young man. All becomes clear very quickly when it is revealed the woman dressed as a man is in fact the great Consulting Detective, Sherlock Holmes, in disguise – and the effeminate young man is in fact the heiress apparent to Baskerville House – Henrietta Baskerville. The plot quickly thickens as we’re transported from the sunlit dappled (but cold) lawns to the peaty, boggy and spooky moorland of the South West. As Chapterhouse is a small company – there has had to be plenty of changes rung to make this adaptation of Conan-Doyle’s most famous story of his super-sleuth work – and not just with the inclusion of Mary Watson and the changing gender of Henry to Henrietta. Holmes, although absent for the majority of Conan-Doyle’s work is very much there for the whole of this play. There are changes to the character of Stapleton and changes to other key relationships. 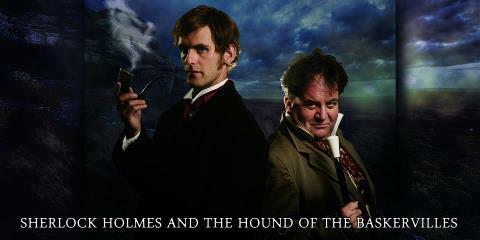 Even for a Holmes purist however, these changes do work on this delightful and humorous adaptation. Without giving too much away – Holmes is majestic. Watson – the star of the original work – is more bumbling. He appears more concerned about discussing his wife and repeating requests for Holmes to respect the newly wed’s privacy. In this, adapter Turner has clearly drawn her inspiration from the recent Guy Ritchie films starring Robert Downey-Junior and Jude Law. Their relationship – although close – calls more of irritation than the respect Watson feels for Holmes in the original stories. The inclusion of Mary Watson as an addition to the intrepid duo is a little off kilter as is the mounting sexual chemistry between Holmes and Henrietta Baskerville. However – all the relationships come together beautifully to tell the strange and deadly tale of the great Hound which haunts the Baskervilles and Dartmoor. 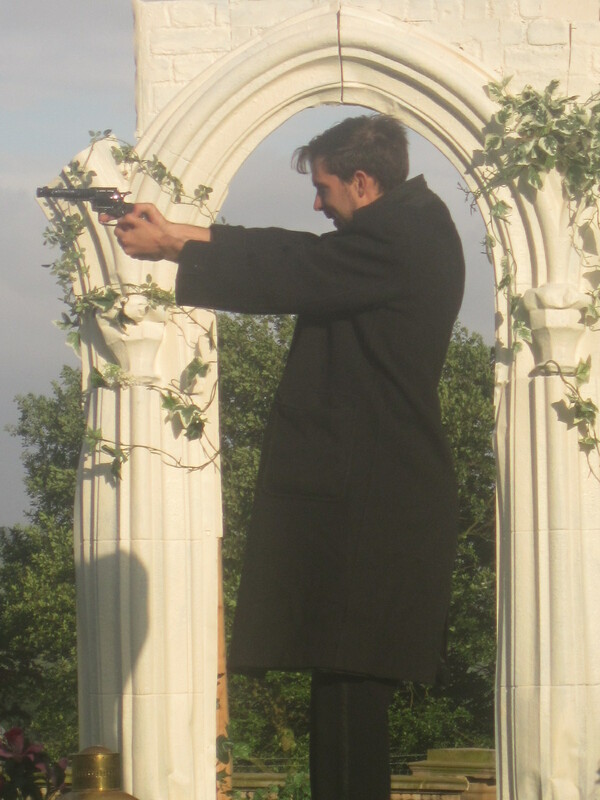 Benjamin Lawlor as Sherlock Holmes. 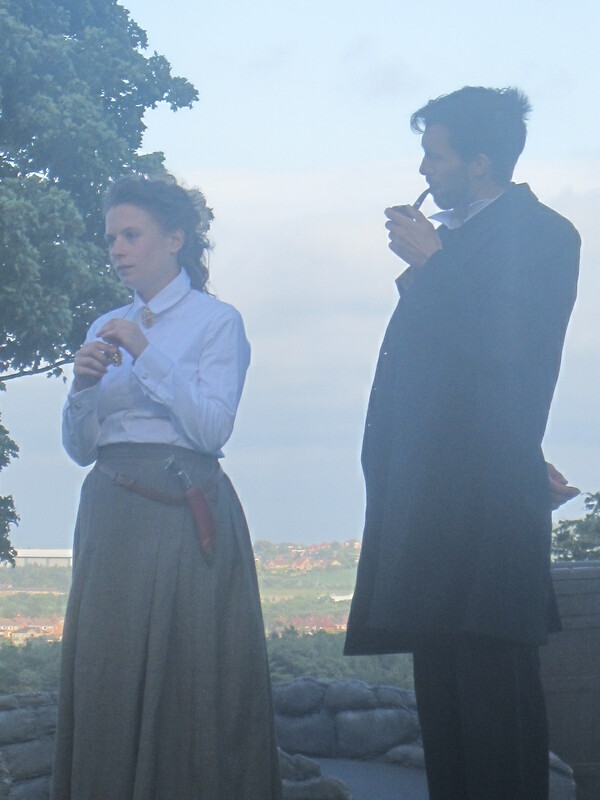 Benjamin Lawlor and Mollie Fyfe-Taylor as Holmes and Henrietta Baskerville. 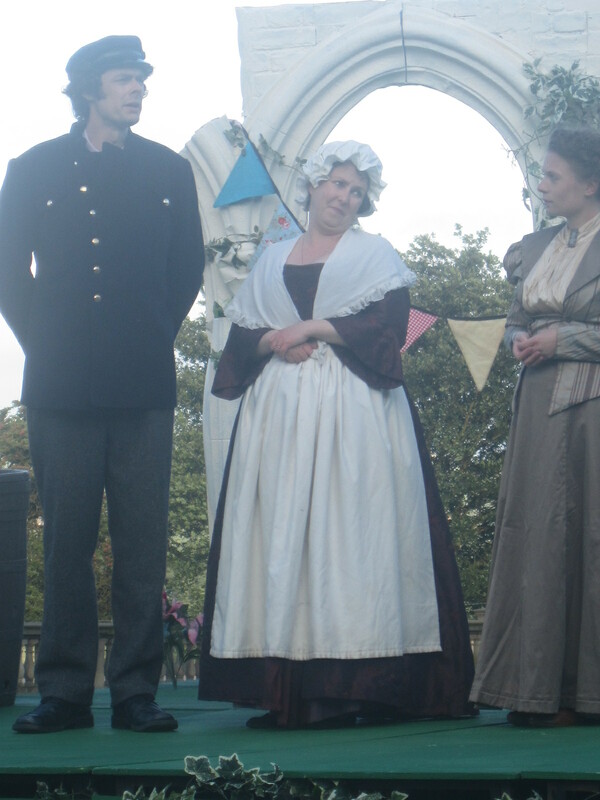 Helen Fullerton as the maid Mrs Mortimer, with Mark Watson as Chief Constable Crabbe and Mollie Fyfe-Taylor as Henrietta Baskerville. 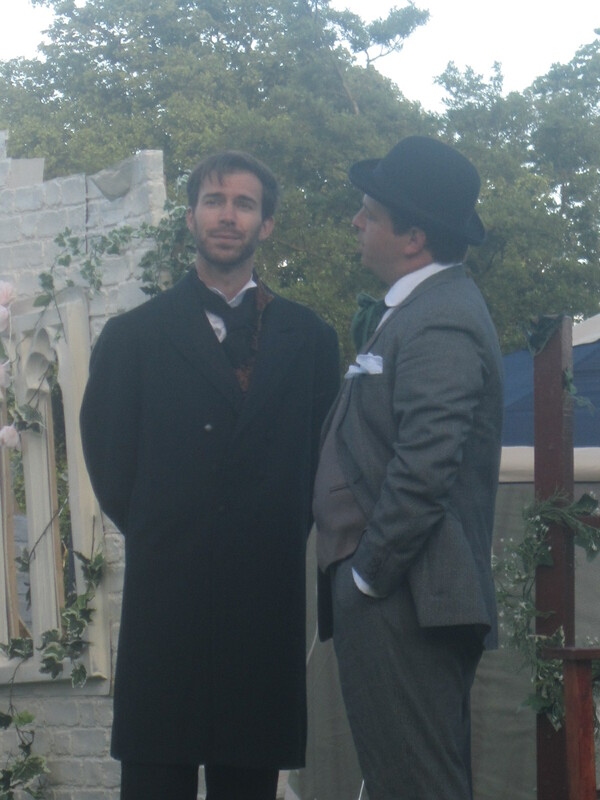 Benjamin Lawlor and Jackson Pentland as Holmes and Watson.